Hair loss treatments have gotten so much better! With the NeoGraft® hair transplant system, our hair restoration specialist can restore fullness to thinning areas in a minimally invasive procedure with no linear scar, using your own natural hair. Learn all about it below. 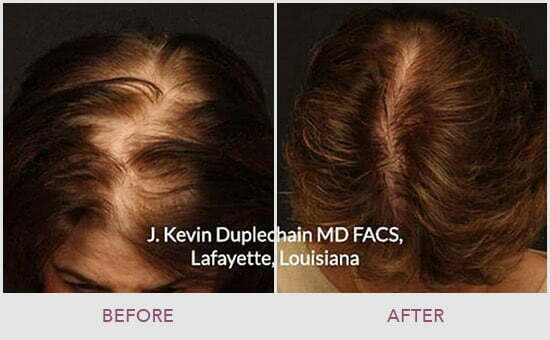 NeoGraft® offers quick, minimally-invasive hair transplants with no linear scar! Are you bothered by a thinning or receding hairline? Tens of millions of men—and women—face hair loss as they age. Given the chance, most would do something about it. You don’t have to choose between accepting hair loss or having an invasive surgery that leaves a long scar. Limited time offer: save $527 on NeoGraft! Dr. Sobel is excited to now offer the NeoGraft® Automated FUE Hair Transplant System at Anderson Sobel Cosmetic Surgery in Bellevue. 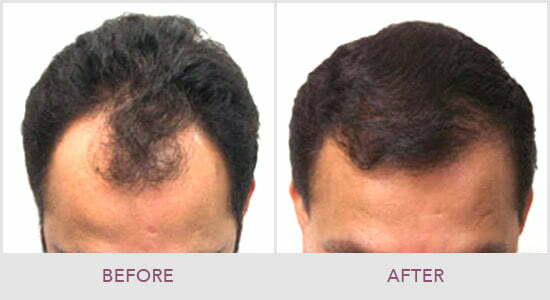 NeoGraft® will change your mind about hair transplant procedures. Think getting hair transplants means losing a large strip from the back of your head and living with a long, linear scar (not to mention those awful rows)? That used to be the case with older hair transplant methods. But NeoGraft® is different. It’s an in-office procedure with local anesthesia. No linear scar! You can wear your hair any length you want after NeoGraft® with confidence. NeoGraft® transplants have a higher “take” rate, which means you get more satisfying results with each treatment. Many patients resume full activity within a few days after treatment. You get strong, natural and lasting hair growth. You can swim, style and treat your hair normally. It’s affordable! With our flexible financing options, NeoGraft® can fit into almost any budget. NeoGraft® is the first procedure of its kind to gain FDA clearance, and has helped thousands of men and women across the U.S. successfully treat hair loss and regain greater confidence in their appearance. Is NeoGraft® right for me? The typical NeoGraft® patient is a man or woman bothered by moderately advanced pattern baldness, hair thinning, or a receding hairline who desires a minimally-invasive, yet long-lasting option to restore natural hair growth. Dr. Sobel can help you determine the right hair restoration option for you during a free consultation at our Bellevue cosmetic surgery office. Contact us today to book your NeoGraft consultation.